In July 2018, the City of New York became the first city in the world to submit to the United Nations its progress toward the Sustainable Development Goals (SDG’s) on city level. As the first European city Helsinki will follow New York City and become the second city in the world in effort to showcase crucial role of cities in achieving UN agenda for people, prosperity and planet. The Mayor of Helsinki Jan Vapaavuori announced Helsinki’s commitment to the voluntary local review at a panel conversation with New York City’s Commissioner of International Affairs Penny Abeywardena at the Social Good Summit in New York City on Sunday. Even though Agenda 2030 is a state-level agreement, the success of the SDG’s depends heavily on the implementation done by cities. Urban centers are growing in numbers and influence – they play a critical role in championing change and effective execution. The most challenging issues of the world will increasingly be solved on city level. “Helsinki wants to stand out as a forerunner in local implementation of global responsibility. 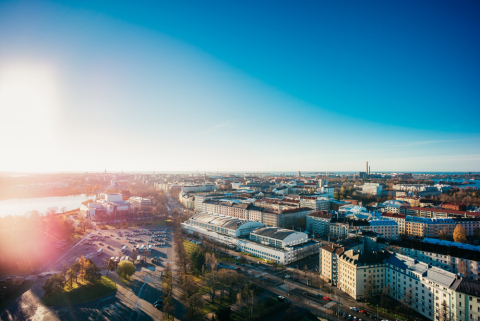 The Helsinki City Strategy and the Sustainable Development Goals have many aspects in common. Voluntary city level review will make Helsinki’s development transparent and makes global comparisons possible. Open sharing of the review can also point out weaknesses in Helsinki’s work. This information is valuable to the city”, said Mayor Vapaavuori at the Social Good Summit. Commitment to the city level review will create a possibility for new strategic international comparisons for Helsinki. It will also promote international co-operation and relevance. Above all, it will bring the SDG’s to a concrete level within the city framework. The reporting will be transparent and illustrative, making citizens better informed and more empowered regarding Helsinki’s achievements in sustainable development. According to its strategy, Helsinki wants to be the leading city in the world in opening and utilizing data. Voluntary review is a bold new step in this development. Helsinki also wants to set an example to other cities around the world and hopes that this city level engagement will continue to grow. Published in September 2017, The Most Functional City in the World: Helsinki City Strategy 2017–2021 sets the ambitious goals for the city’s development.